1. extremely annoying, difficult, or the like; straining one’s patience and goodwill to the limit: a trying day; a trying experience. verb (used with object), tried, trying. 1. to attempt to do or accomplish: Try it before you say it’s simple. 2. to test the effect or result of (often followed by out): to try a new method; to try a recipe out. 3. to endeavor to evaluate by experiment or experience: to try a new field; to try a new book. 4. to test the quality, value, fitness, accuracy, etc., of: Will you try a spoonful of this and tell me what you think of it? 5. Law. to examine and determine judicially, as a cause; determine judicially the guilt or innocence of (a person). 6. to put to a severe test; subject to strain, as of endurance, patience, affliction, or trouble; tax: to try one’s patience. 7. to attempt to open (a door, window, etc.) in order to find out whether it is locked: Try all the doors before leaving. Considering the week we’ve had, I find the first listed definition of “trying” interesting and possibly prescient. Does Dictionary.com know my life? I woke to a loud slam: our refrigerator door. Checking the baby monitor (which keeps me from having to roll out of bed at 6 am if the boy’s just getting a snack), I could tell he was “sneaking” whatever it was. I trotted downstairs. He heard me coming and hightailed it to his room. UGH. He’d behaved well all weekend, so we allowed him general free rein of the picnic junk food. I was surprised at his lack of reaction, thinking maybe his intolerance of sugar had waned…nope. Heeeeere it is. I replaced the egg and noticed another was missing (I’d just bought the carton). I walked into his room and found that he’d had an “accident” and tried to clean it up himself. Yes, junk food is still a bad idea. The good news? He used the appropriate smell-killing enzyme liquid to such excellent effect that his bedding had no smell at all, in spite of the obvious…incident. 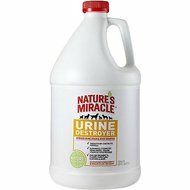 Efficacy of Nature’s Miracle Urine Destroyer even on non-urine accident = confirmed. The bad news? He dumped the entire bottle on it. Ah, well…at least he tried. I gathered his bedding and found the other egg swaddled in his blankets. Hatching a chick? Nope. He just wanted to throw it to see what would happen. My little mad scientist (ok, let’s be real; when he does “science,” I bring the “mad”). I feel the quality of my ability to mother in appropriate ways is often tried and found wanting…Egg Incident #1 (because I’m sure it won’t be the last) is a perfect example. Instead of praising him for attempting to clean up the mess himself (which, in hindsight, was a monumental accomplishment), I freaked out over the ENTIRE BOTTLE dumped on his (thankfully waterproofed) bed and over the egg—a potential mess—swaddled with care in the clean end of his bed. Rather than give him props for attempting a clean-up after his incident (which is probably what triggered the need for crazy), I judge-and-juried him for the potential egg mess and for not coming to get me for help with the cleanup. Then, I found that he’d tossed his soiled shorts in with my CLEAN LOAD OF LAUNDRY and started the washer again, which meant I had to run the entire load on “sanitize” and couldn’t dry the load for another two hours. I know it’s my own fault for packing a schedule too tightly, but I had a limited amount of time in which to complete several tasks that day. The last straw (last shorts?) sent me over the edge of my sanity. In my defense, we haven’t had respite for more than a couple hours in almost a year and I’m completely drained. If the boy isn’t getting into something he finds interesting (which means items broken, a mess to clean up or some other form of work for me), the girl is intentionally tanking her grades or sabotaging the boy. My endurance is shot, my patience is tried and worn. But, being sapped and weary is no excuse for bad behavior. How can I expect him to do the right thing when he’s spent, if I don’t provide the example? A few hours after the egg-in-the-bed trick, I apologized. We do what we can. Some days we fall down. But if we keep trying the locked doors, sometimes we find that they’re open. Sometimes, all I can do is laugh. At least he’s aware. That’s progress. And even though his behavior is trying (first definition of verb, adjective), I do believe he is trying (first definition of try, verb) to improve. And yeah, it’s a waste of food, but maybe not a waste of connection: I think I’m going to schedule an egg-throwing contest. Posted on May 31, 2017, in Adoption, autism, parenting and tagged autism, Autistic, Autistic child, behavior, connection, dictionary.com, eggs, overreact, respite, trying. Bookmark the permalink. 20 Comments. You’ve had a trying time all right! Ah, bless him! And bless you for being so amazing. I find I have to apologise to my kid every now and then, hwne he’s being a full on teen and caught me on a really bad. I don’t think it’s a bad thing – at least it shows them how to make a good apology! I’m cracking up. So funny. Gotta love spellcheck. I can imagine how you’d lose your mind and I would too. But you did really great with your apologies and connecting with him. Kudos, Mama! And at least you are laughing too. 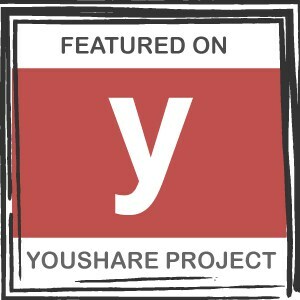 So much to learn…thank you for sharing your story.